FairWinds Antique Maps - Item # G2896: Spanish North America Southern Part. Spanish North America Southern Part. 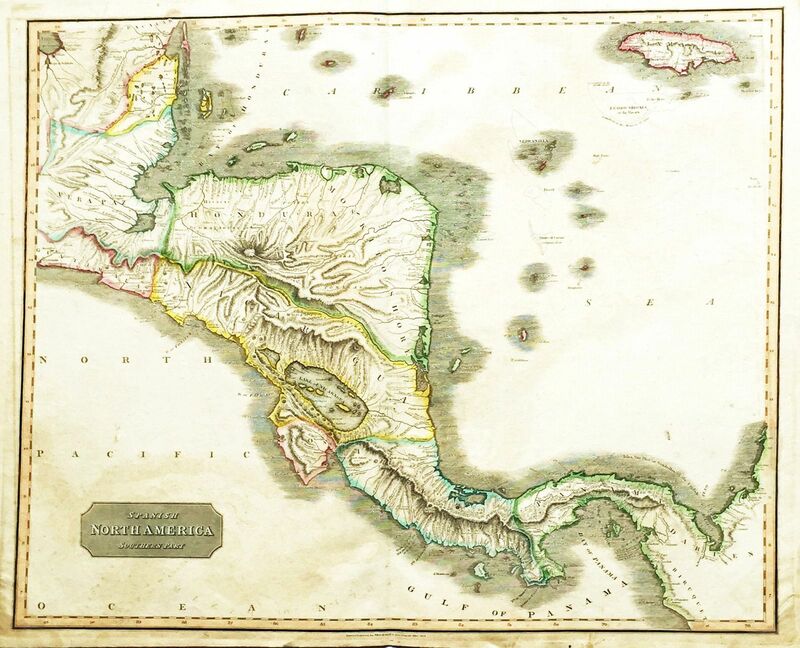 In Thomson's large-scale map of Central America, Guatemala is confined to a narrow strip along the Pacific. An enlarged Honduras encompasses the Mosquito Shore, and San Salvador (later El Salvador) has not yet formed. With its beautiful coloring and dramatic topography and coastal shading, this is a map of great aesthetic, as well as historical, appeal. Size: 24 1/4" x 20"